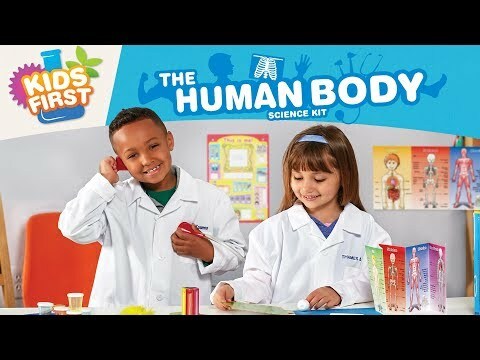 Learn all about the human body by doing experiments with your five senses that show you how your body works. Explore the external aspects of the human body with 26 fun experiments to learn about the inside anatomy. Examine your fingerprints to learn how unique you really are and find out what happens to the food you eat. Test your lung capacity or build a stethoscope, listen to your own heartbeat and learn about your heart pumping blood. Relate your experiments back to the human body systems, including the internal organs, skeleton, muscles and the circulatory system. With clear and accurate illustrations, a great aid for future doctors. Box Size: 14.5" x 11.5" x 3"